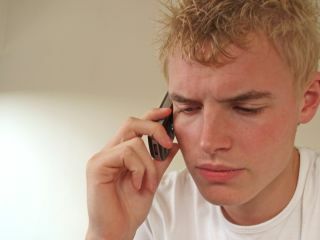 Ofcom has today announced a new lower cap on the rates that networks can charge landline operators to connect calls to mobile phones and on charges for cross-network calls. Coming in to effect on 1 April, the cap will affect the UK's four mobile networks: Three, O2, EverythingEverywhere (previously Orange and T-Mobile) and Vodafone. From 1 April, the networks will not be able to charge more than 2.66p per minute for a call to a mobile phone from a landline or from a different network, with prices dropping until the 2014/15 low of 0.69p per minute. Hopefully, operators will pass these savings on to consumers. These new lower rates apply only to the major networks – smaller virtual networks, like Virgin Media and Tesco Mobile, will get their own rates "to be set on a fair and reasonable basis". While the new rates are lower than we are currently subject to, they are also higher than Ofcom's last recommendations on the matter, which would have seen rates fall as low as 0.5p per minute. BT is the first landline provider to promise that the lower costs will be passed on to its customers. The telecoms company was a key player in the 'Terminate the Rate' campaign, along with a number of other companies including Three. John Petter, managing director Consumer, BT Retail, said: "Ofcom has made some worthwhile reductions in mobile termination rates, which will benefit customers in the near future. "Our focus is now on developing an all-inclusive package that will enable people to call mobiles from their landlines at no extra cost, with no fear of 'bill shock'. This will be incredibly good news for BT's customers."